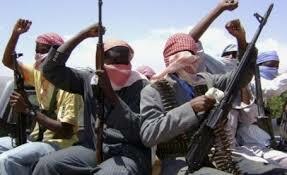 Boko Haram: Why do we favour intervention? 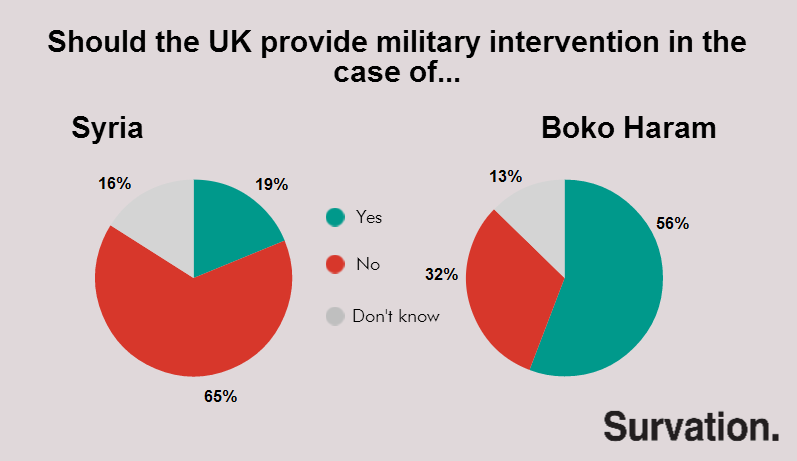 In a Survation poll for the Mail on Sunday 56% of the British public were in favour of the UK government offering to send the SAS to Nigeria to help with the rescue operation of young girls abducted by the Boko Haram group, compared to only 32% who were against. This is a far cry from the public reaction to potential intervention in Syria which was supported by just 19% of the public. The public clearly see intervening with Boko Haram differently. One explanation could be that intervention in Syria would have been a response to the alleged use of chemical weapons by a foreign head of state, a scenario that draws striking parallels with the invasion of Iraq. Any such parallel would increase anti-invasion sentiment – 65% said the experience of the Iraq had made them less likely to trust British Prime Ministers in going to war. 81% of respondents to the Syria poll said their views on Syrian invasion were at least somewhat affected by the experience of the Iraq invasion, so it is certainly possible that the close parallels were a significant factor in the general opposition. However, it may not be the lack of a weapons debate that sets the Boko Haram scenario apart. When asked which future developments could justify military action in Syria the only factor which received 50% support was “chemical weapons could fall into terrorist hands”. Similarly when asked to decide which events would justify UK military actions from a list including various foreign invasions and disputes, a “9/11 style attack on London traced to terrorists supported by the government of a known foreign country” garnered the support of 64% – substantially more support than for any other incident. This suggests that it could be the “terrorist” status of Boko Haram that makes the public more in favour of intervention, perhaps as it doesn’t involve directly intervening with foreign governments. Support for sending the SAS to Nigeria is highest amongst those intending to vote Liberal Democrat, of which 66% are in favour of offering support. As a party which is generally ideologically opposed to heavy-handed intervention in other states, it may well be the fact that the intervention is not at state-level that is making the difference. View the tables relating to Boko Haram here. View the tables relating to Syria here.